This is the top of the range race paddle which will put you in front of the pack. Designed by Robert Stehlik and Alex Nix, the Kai Zen is the highest performance Blue Planet paddle and is the result of years of R&D in and out of the water. 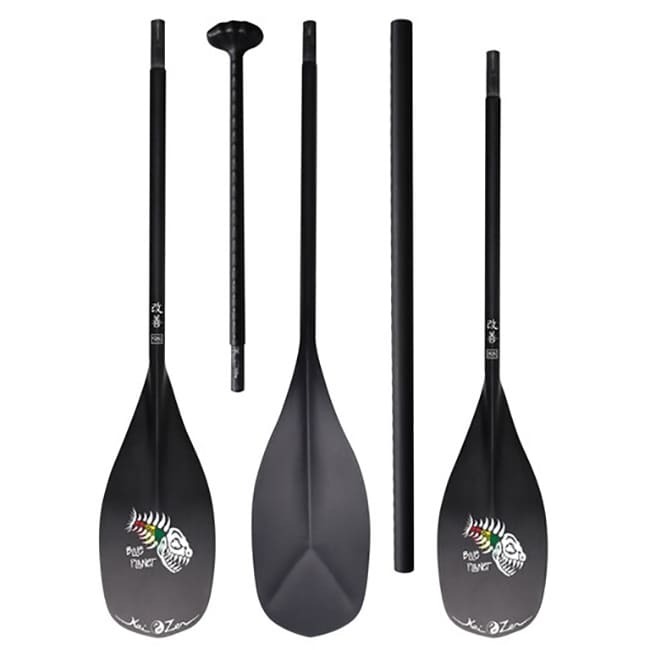 The Kai Zen features numerous performance designs that maximize the fluid dynamic efficiency of the paddle to generate maximum propulsion and efficiency while reducing turbulence and energy waste. Kai Zen V1 is made in blade sizes 88 and 98 square inch.